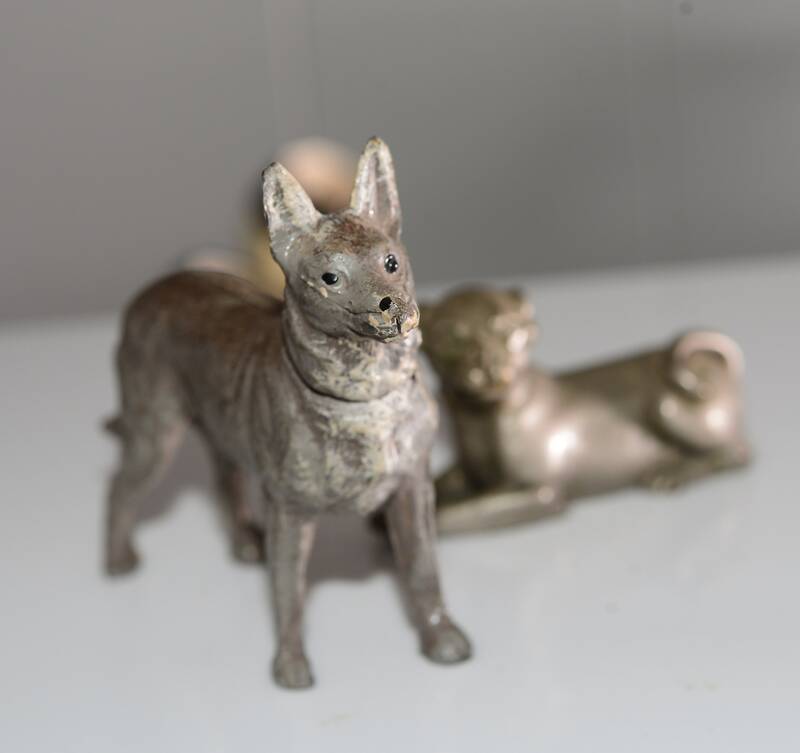 This pair of dogs are likely from tropies, clocks or some other turn of the century or early 1900s decorative piece. 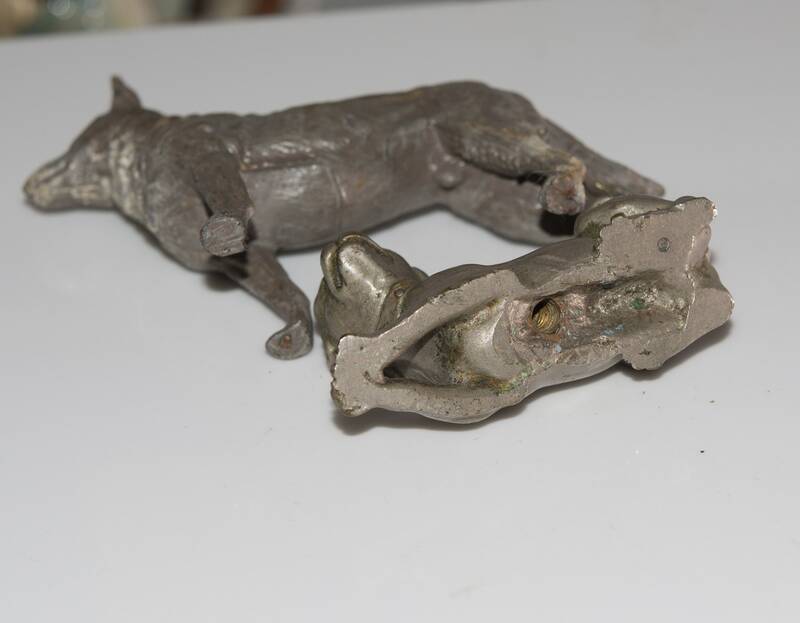 The Bulldog has a threaded hole in his belly so he was definately and ornament. 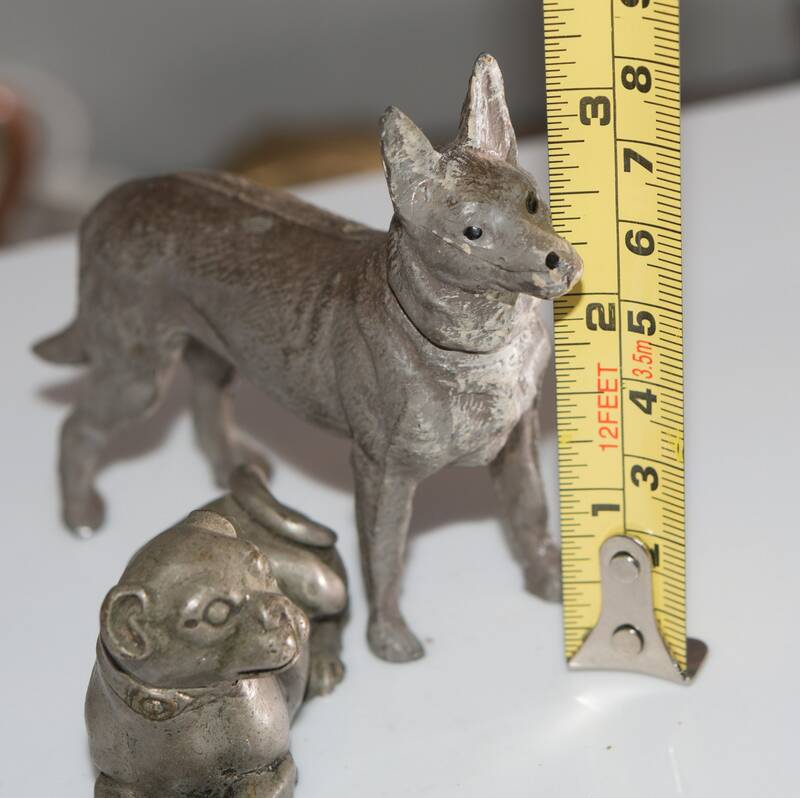 The German shepherd has painted eyes, and stands about 4 inches high. 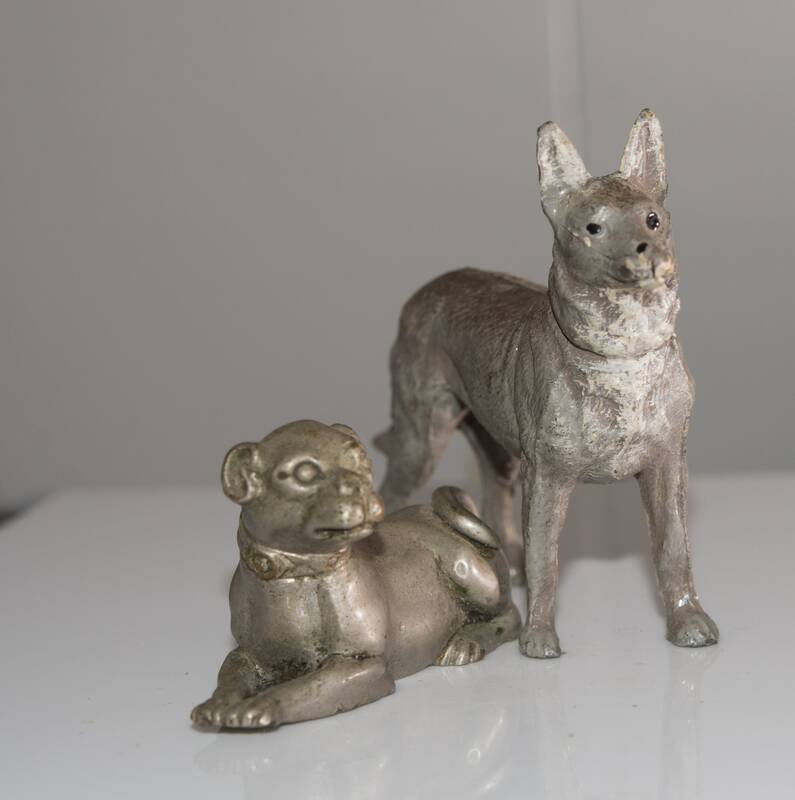 The bulldog is heavier more solid the German Shepherd is spelter or similar metal alloy the bulldog is made of pewter or brass alloy has more weight. 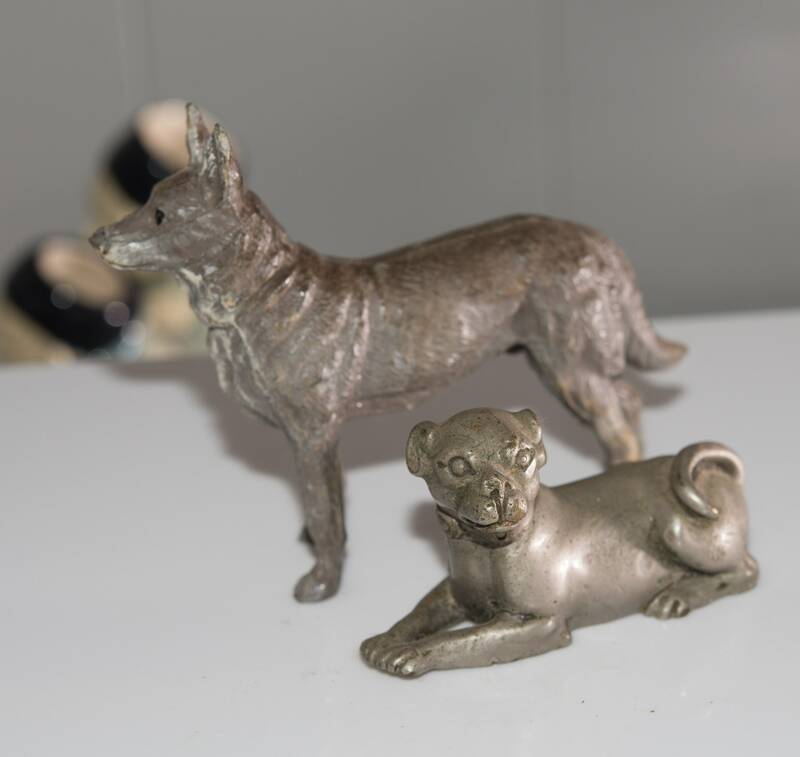 they are great pieces and if you collect dogs these are early additions to your collection. Price is for both.